If a man was in the harbour, all the way on the bottom of the basin, I would normally be worried. This here, though, was no issue for me at all. It was more a question of waiting for the right moment when the man, dressed in dark stepped infront of the part of the wall that was lit brightly to contrast off of it. 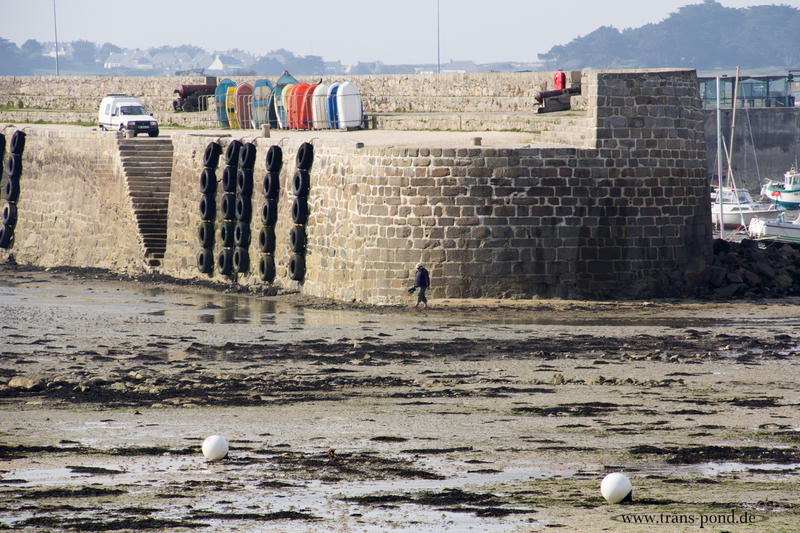 Roscoff, rising tide, easter 2015.